Manistee County housing options range from small town living to countryside living. In Manistee County, even the largest town, Manistee, would be considered a small town by most people’s standards, though the town does have 6,200 residents, a small hospital and is the county seat. Manistee rises on the shore of Lake Michigan, so for residents, an important part of life here is dropping down to the beach any time they please. The town’s downtown retains its Victorian-era character, and projects like a major renovation of the early-1900s downtown movie theater and new retail are breathing fresh energy into the town. Affordable housing in well-built homes is still a possibility in Manistee. For people looking for even smaller small-town life, other Manistee County towns include Onekama and Arcadia; perched on the Lake Michigan coast, these tiny burgs retain their resort and farming roots. Further inland, villages like Kaleva and Copemish remain close to their farming heritages. Housing prices in small towns of Manistee County vary widely. 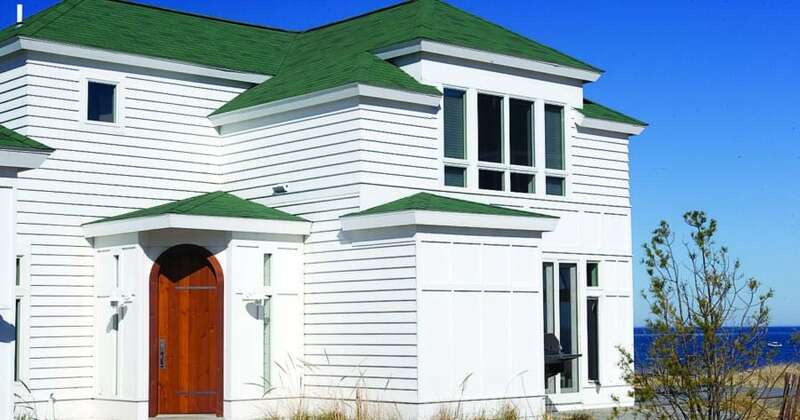 Houses on the Lake Michigan shore in Onekama and Arcadia will occupy the high end of the range, but in small farming towns and villages, affordable prices on solid homes are possible. People choosing to live on Manistee County’s Lake Michigan coast, one of the world’s largest lakes is right outside the door, and the dramatic nature show of changing weather and water adds a rich element to life. Swimming in the freshwater and just wandering the sandy shore can be daily parts of summertime life. Lake Michigan properties tend to be at the high end of county property values. With 36 inland lakes, Manistee County has ample choices for living on smaller lakes. People choosing to live on inland water enjoy the protected nature of the lakes versus the bold and powerful Lake Michigan. In some ways the smaller lakes are more user friendly: they are sheltered from winds, and the water warms more quickly for swimming. Lake living means things like fishing, swimming or an evening boat ride can be an easy and instant part of the day. Inland lake property trends toward the higher end of the cost spectrum, but with so many lakes in the county, price options exist. Manistee County’s highest profile inland lakes include Portage Lake and Bear Lake. Living in the country of Manistee County offers many options for home buyers. Countryside can mean a shady, forested place of seclusion or a 40-acre farm or it can mean a modest home along a quiet, curving two-lane. Country living offers peacefulness and a closeness with nature, with tradeoffs coming in the form of long drives to work, schools and shopping.